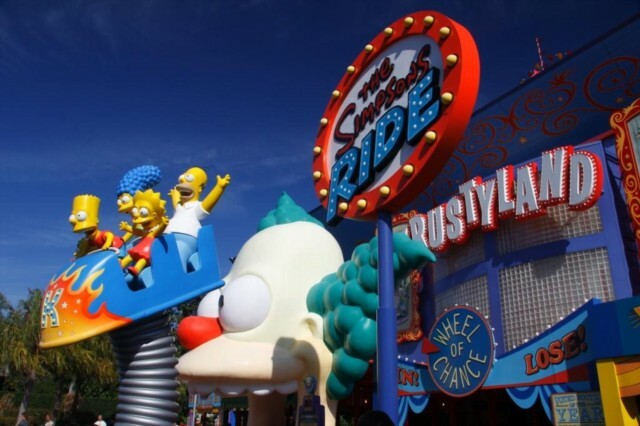 The Simpsons Ride is located at the far side of Universal Studios in Florida. 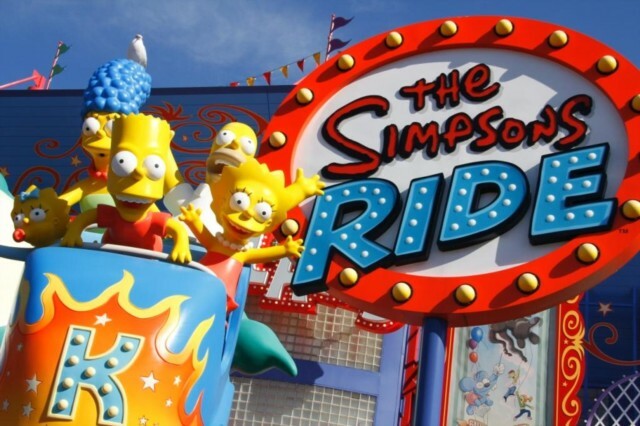 The ride replaces the old Back to the future ride which was a massive favourite with the public, but lost some appeal due to the younger audience not having watched the old film. 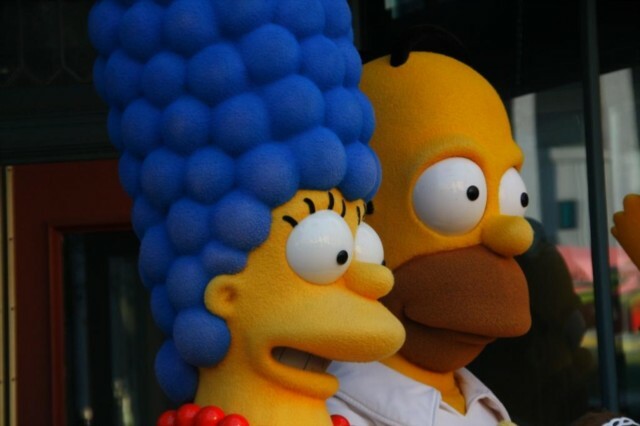 It was decided that due to their popularity and mass appeal the Simpsons would replace it. 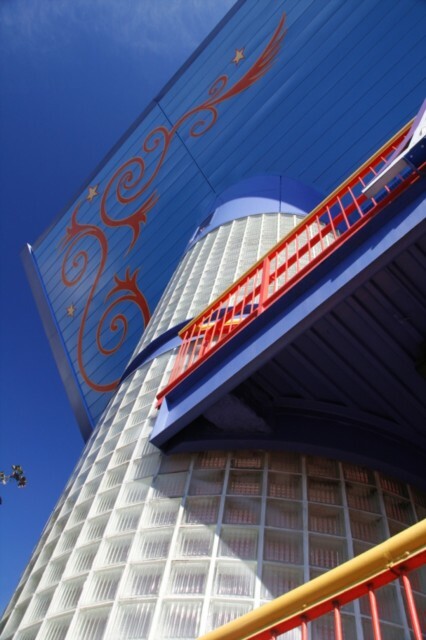 The ride is a 3-D simulator ride that has many levels that can cater for a large amount of people in peak times of the year. Each level has 10 seperate cars with each car housing 8 riders. Having been on the ride in the middle of Aug I was surprised at just how quick the queues actually went down! We waited for no longer than 20 minutes. 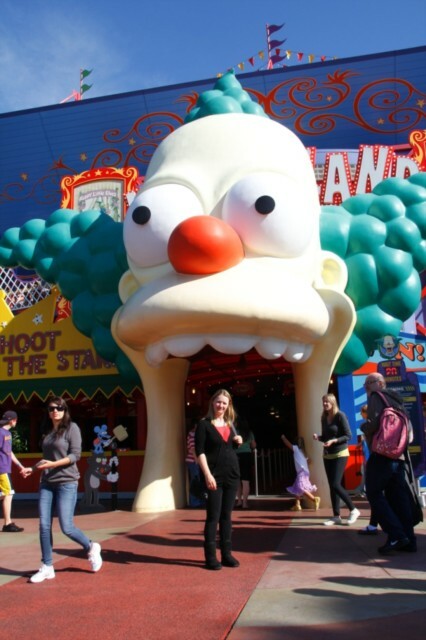 Once inside you are kept entertained with TV screens and interactive bits and bobs from the Simpsons series. Here you will meet all your favourite characters. It really does pass the time and add to the overall feel of the ride. 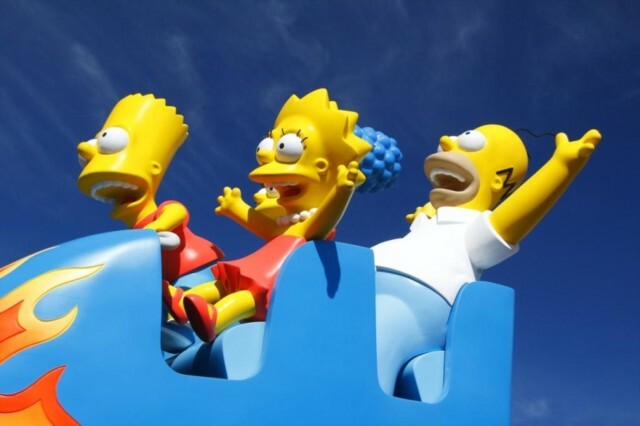 If you are a fan of the Simpsons you will really like this ride, it has been well put together and lasts around 10 minutes from start to finish. You start your ride by moving into a special 8 seater car that then moves forward towards the large projection screen. Once in place the ride is then moved onto the simulator itself. Once you start you are taken through a short trip through the Simpsons cartoon series and get into all sorts of sticky situations along the way. 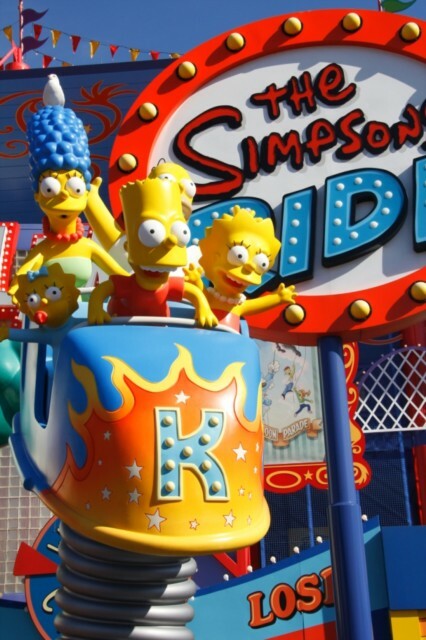 The great thing about this ride is you are totally immersed in the Simpsons and feel part of the action, bumping, turning and dropping! There are some real laughter moments and we found our young 5 year old liked this ride the best. Having said that this ride is aimed at the whole family from 5 - 85. 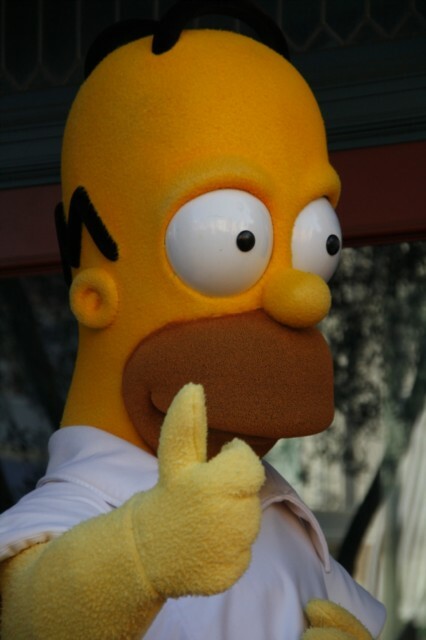 Everyone who knows the Simpsons will like it! Overall I would say the Simposns ride has surpassed the old Back to the Future ride and improved on it in the build up and script department. 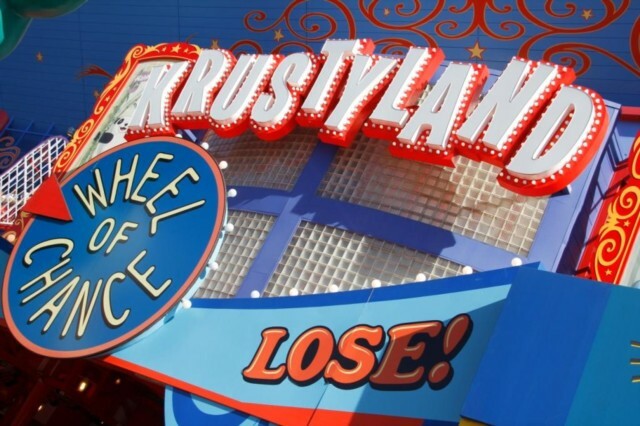 Both are 3-D rides and based on similar themes, but Universal don’t tend to allow rides to become stale and where possible always try to revamp them. 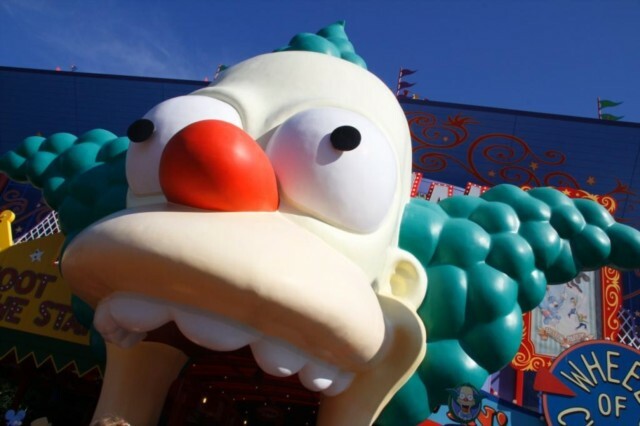 This in my view is why Universal are the best in the business when it comes to Theme parks for the whole family and why they did a great job of the Simpsons Ride. Viewed 3331 times since 23 December 2011.